An essential partner in your fight against the sugary drinks and snacks epidemic! Explains how frequent consumption of sweet foods and drinks speed up acid attacks that can damage teeth. 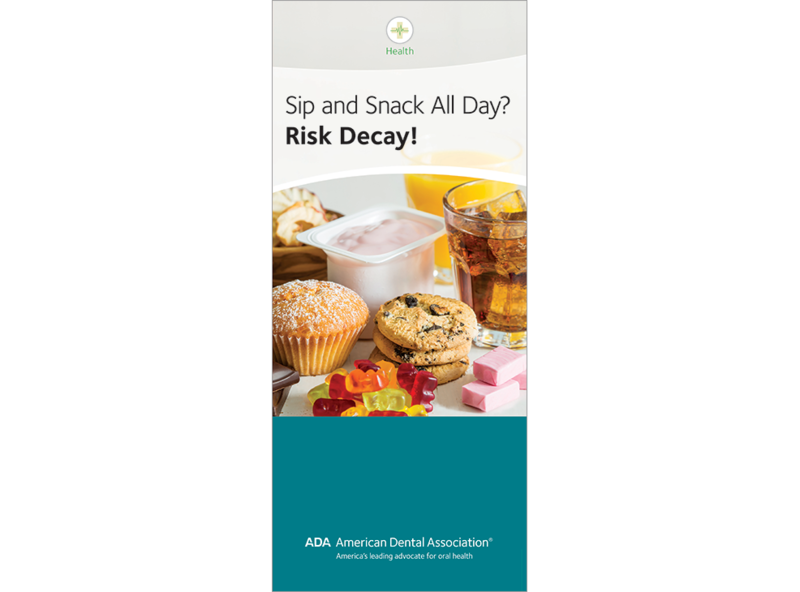 Gives pointers on reducing the risk of tooth decay. Also provides tips on choosing healthy foods, with a link to the USDA’s Food Plate. Features an easy-to-understand infographic that shows how much sugar is in popular drinks. 6-panel brochure, pack of 50. PERSONALIZED Snack And Sip All Day? Risk Decay!